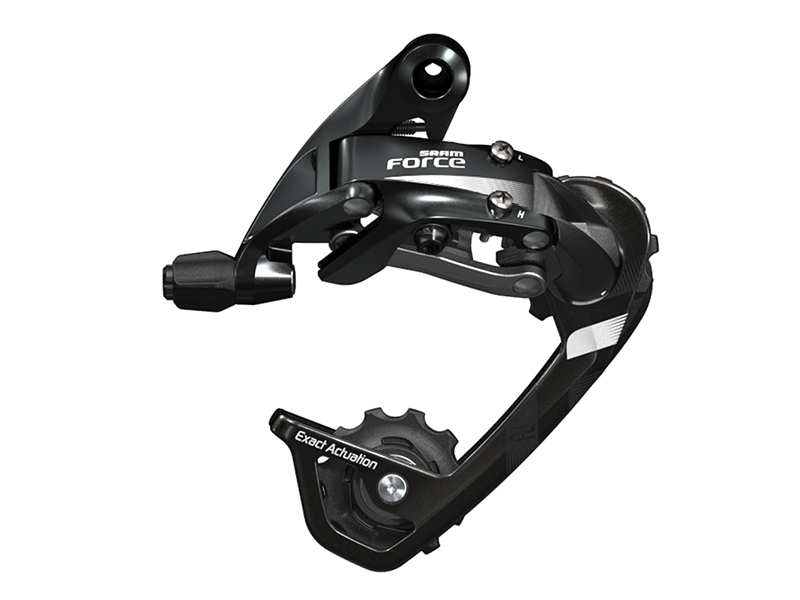 The SRAM Force 22 front derailleur gives riders the freedom to shift quickly with no trim and no chain rasp. The Yaw™ rotating front derailleur cage is an elegant solution to a problem that plagued drivetrains for decades. 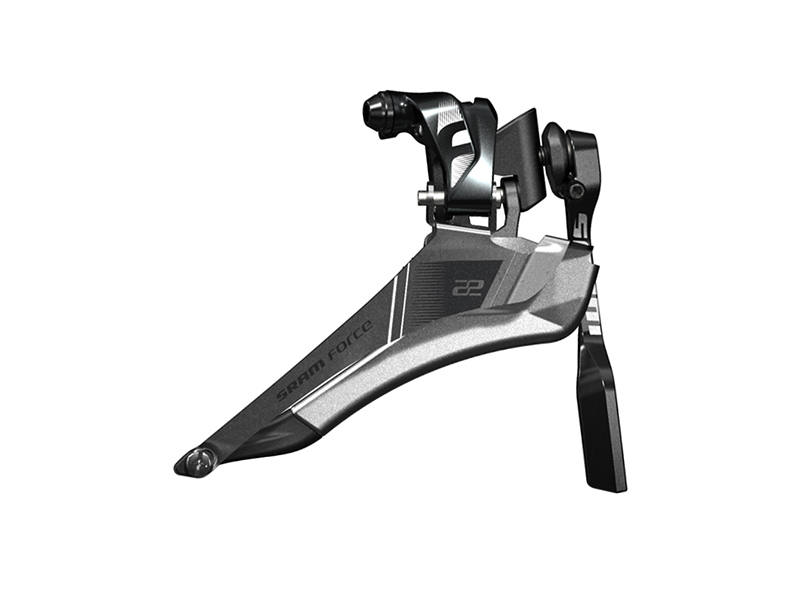 Instead of multiple shifts using trim, with confusing microadjustments, the SRAM Force 22 front derailleur actually rotates to maintain a consistent angular relationship with the chain. As a result, shifts feel more direct and precise. Durable, light, fast, precise and optimized to work with X-GlideR chainrings. 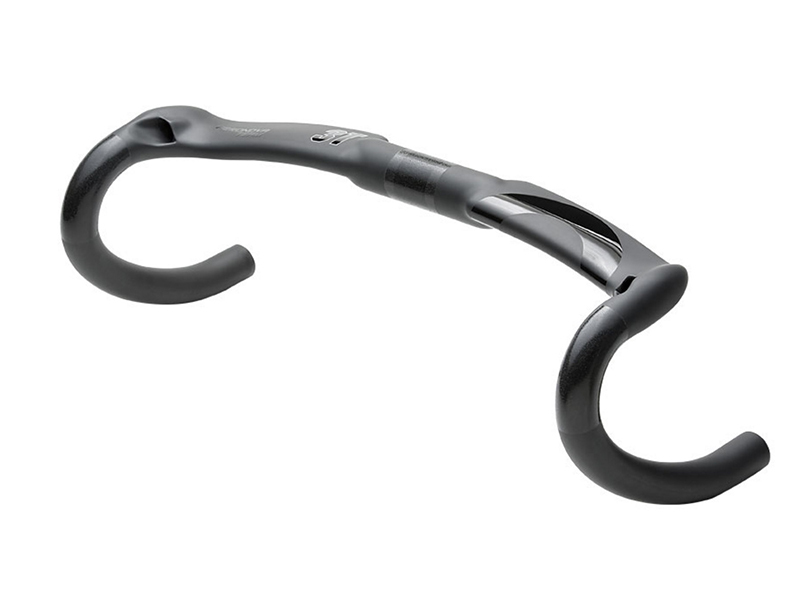 Integrated chain spotter protects your frame and installs and adjusts independently of the derailleur itself.